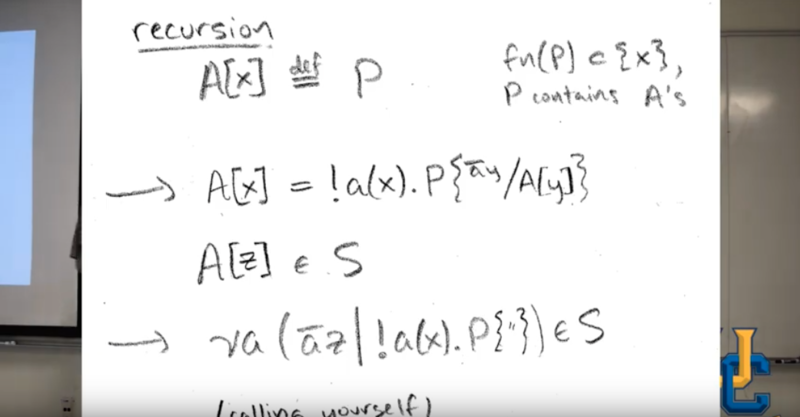 In the video above, Williams presents during an Applied Category Theory Seminar on the pi calculus. Historically, code represents a sequence of instructions for a single machine. Each computer is its own world, and only interacts with others by sending and receiving data through external ports. As society becomes more interconnected, this paradigm becomes more inadequate – these virtually isolated nodes tend to form networks of great bottleneck and opacity. Communication is a fundamental and integral part of computing, and needs to be incorporated in the theory of computation.